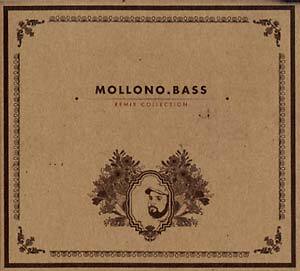 Mollono.Bass loves rich, round sub frequencies like few other things -- one of these other things is remixing. Every time the chronically laid-back head honcho of Acker Records receives a digital storage medium full of audio tracks and samples, he bursts into curious euphoria just like a little boy on the morning of his birthday. There is always a very strong feeling vibrating among the frequencies of his re-designs of different electronic, but also non-electronic genres. 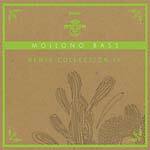 The unmistakable earthy groove of his bass is another trademark of his productions, often complemented by catchy, offbeat rhythms. The arrangements always include lots of classic musical instruments and sometimes human voices. 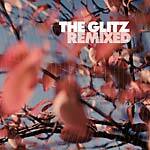 Over the course of time, many remixes have been created for many different producers and bands, and a considerable number of them gained great feedback among lovers of intelligent, melodic dance music. 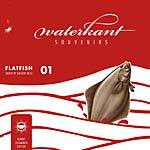 This CD includes some of the most popular ones and comes with an atmospheric bandwidth that reaches from dreamy deepness to soaring departures. Artists include: Be Svendsen, Robot Needs Oil, Douglas Greed (feat. Delhia de France), Felix Eul, Fuji Kureta, Monkey Safari, Pupkulies & Rebecca, Stereo Express, Dole & Kom, Wolfgang Lohr (feat. Miss NatNat), Schäufler & Zovsky, AVA Asante, Peng Peng and Dolph.